This first novel in Nuruddin Farah's Blood in the Sun trilogy tells the story of Askar, a man coming of age in the turmoil of modern Africa. With his father a victim of the bloody Ethiopian civil war and his mother dying the day of his birth, Askar is taken in and raised by a woman named Misra amid the scandal, gossip, and ritual of a small African village. As an adolescent, Askar goes to live in Somalia's capital, where he strives to find himself just as Somalia struggles for national identity. 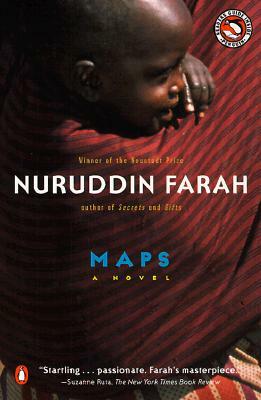 Nurudin Farah is the author of nine novels, including From a Crooked Rib, Links and his Blood in the Sun trilogy: Maps, Gifts, and Secrets. His novels have been translated into seventeen languages and have won numerous awards. Farah was named the 1998 laureate of the Neustadt International Prize for Literature, "widely regarded as the most prestigious international literary award after the Nobel" (The New York Times). Born in Baidoa, Somalia, he now lives in Cape Town, South Africa, with his wife and their children.